Bantu is a type of language that is spoken in central and southern countries in Africa. Knot implies a section of hair being wrapped on top of itself to create a secure pyramid shape. Both words combined is a naturally curly girls way of achieving inexpensive defined curls. Have you thought of trying bantu knots but either it never turn out right or you can’t withstand the pain. Does your Bantu knot always turn out as an epic fail or you simply can’t withstand the painful scalp? If you have answered YES to at least one of these questions, then this cheat Bantu knot-out style maybe what you are looking for. 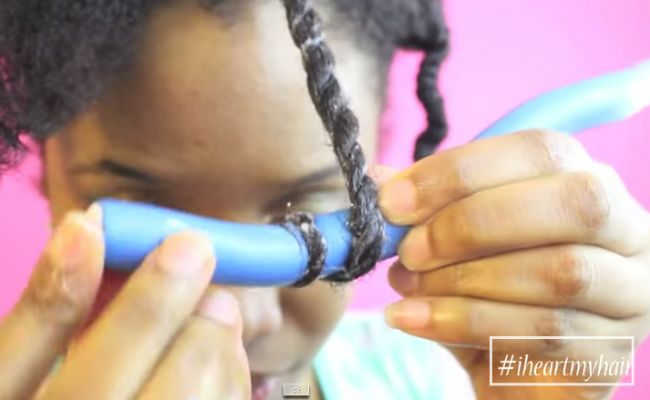 This technique is great if you’re looking to jazz up your twist-out, create a curly 'fro or to achieve more length from a bantu knot. The longer you keep it in the curls will slightly drop day by day. Liquid - Water infused with oils or your favourite leave-in-conditioner is perfect as well. Styler - A product that provides a soft hold to better assist with setting the twist, in this video I used hair gel. Hair Tool - Flexi Rods, the looser the curl the bigger the rod. 1. On freshly washed detangled hair, section your hair to the desired thickness. I recommend medium size, dampen hair with your liquid product. 2. Add a pea size amount of your styler product of choice to the entire section of the hair. 4. 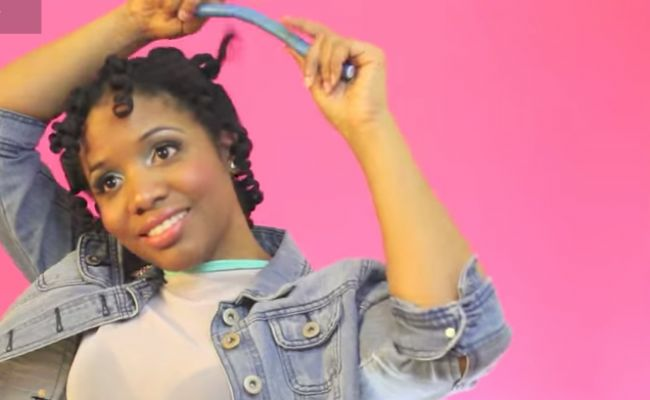 Roll Twist onto flexi rod and secure it tightly. If you already have 2 day old or even a week old twist in your hair, you can remix it by following these few steps. 1. Saturate each twist with a liquid product. 2. Apply a generous amount of styler product/ gel of your choice and rub through the entire twist from root to tip. 3. 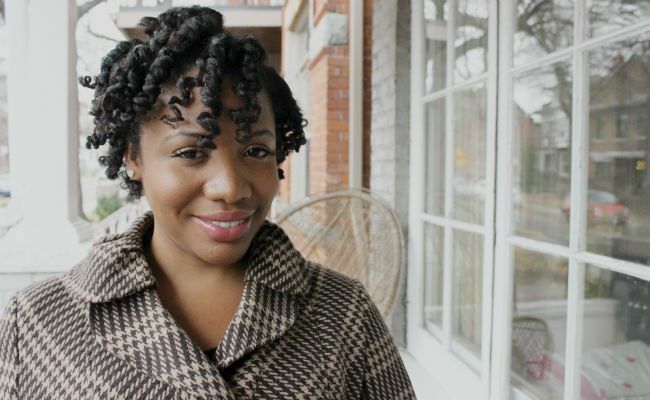 Roll the twist onto the flexi rod diagonally and secure it tightly. 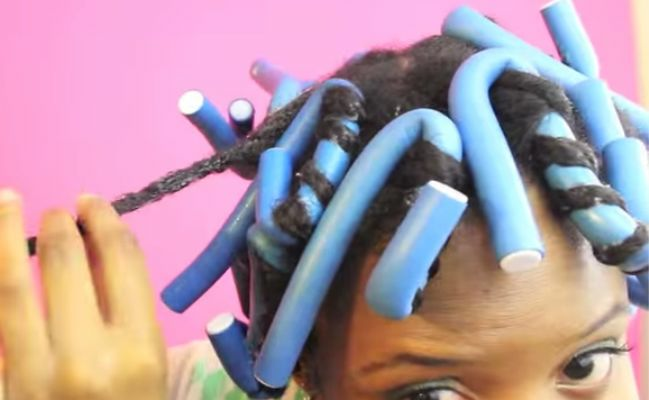 Take your time while removing the flexi rods, try not to disturb the curls too much. Styling Tips: To dry the hair you want to either sit under a hooded dryer for 45 minutes or if you don’t have one, keep the flexi-rods in for at least 7 hours to air dry. If you use a blow-dryer, hair will take from 45 minutes to 1 hour to dry, depending on the thickness of your hair. This style can last up to 5 days without applying any additional products. The combination of a good moisturizing liquid product along with a soluble holding product will give your hair body, movement and keep you hair moisturized for days.